Hey guys. As I've previously said, I've sworn off watermarbling for a while, it's just not worth the aggravation sometimes! 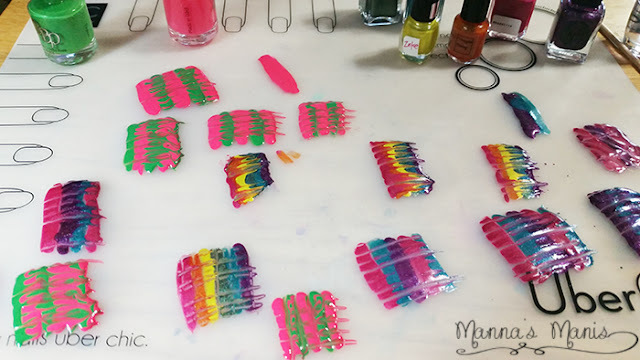 When I saw Born Pretty Store had a watermarble comb, I was intrigued! Using my Uber Chic mat, I painted thick coats of polish in strips. Make sure to do it kinda fast, so the polish doesn't dry. I did a billion different patches because I wasn't satisfied with any of them really. The comb spokes (is that what they're called?!) 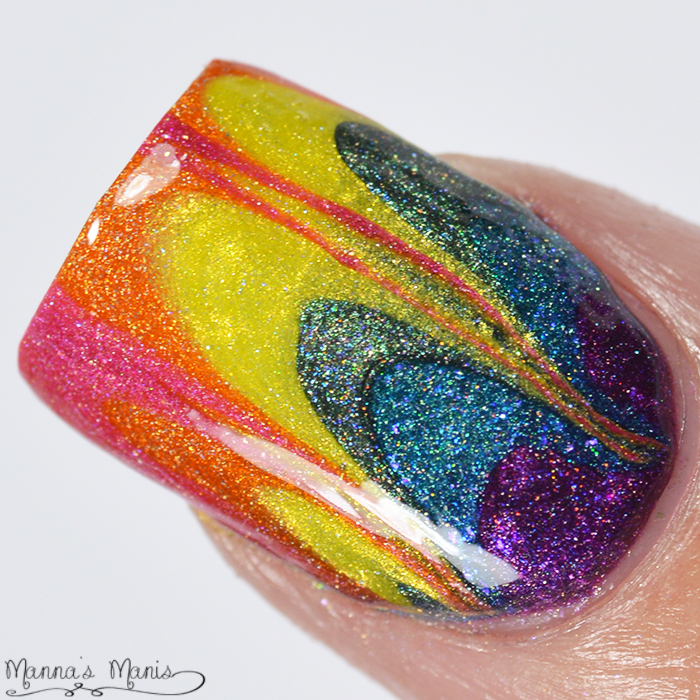 were uneven, so half the time parts of the polish didn't get dragged. 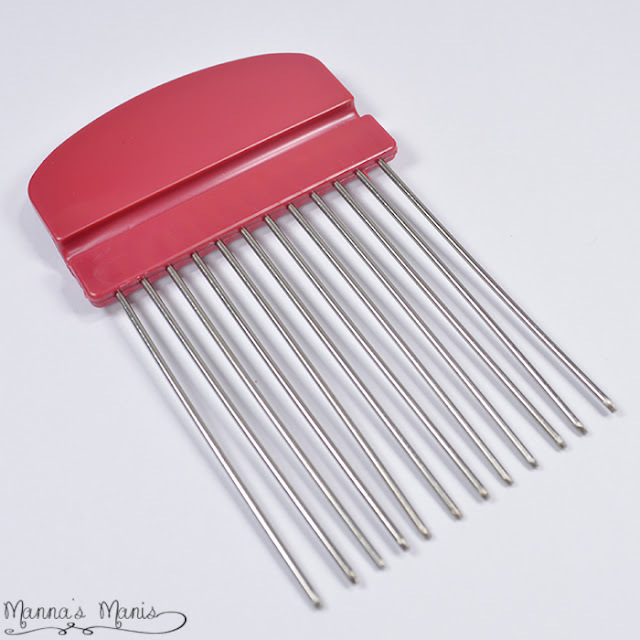 And even though I was lightly dragging and I had super thick polish strips, the comb always dragged at the bottom and created gaps. I let the patches dry for almost 2 hours before I took an orange stick and tweezer combo to remove them. The patches with drag gaps peeled off in pieces, really annoying! Out of all of those patches, I only got one workable decal. Would I use this again? Probably not. I found it pretty difficult to work with and I don't care for the drag patterns. I actually ended up using more polish this way than I would have the old fashion water-in-a-cup way. I wonder though if I would have had more luck using a plastic baggy. 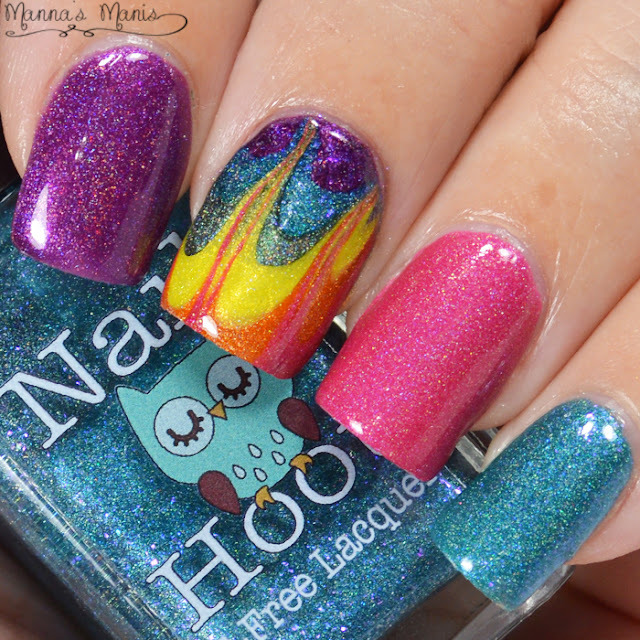 If you'd like this for yourself you can purchase it HERE for $5.38 or click on the banner below. Be sure to use my code AMABK31 to get 10% off your order!